This item is currently out of stock. We are expecting a delivery in late April 2019. If you would like to be the first to know when they are available, please email us. 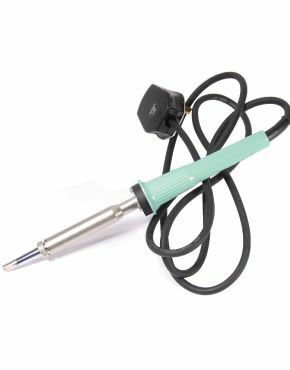 Weller 100w Stained Glass Soldering Iron with a built in thermostat, which helps prevent lead melting, the most popular iron for artists and hobbyists alike. This is our preferred soldering iron for all stained glass and copper foil work. It is light weight and performs very well in all stained glass applications. Also available, replacement tips in different sizes. Note: we highly recommend you buy a tip tinner to go with your iron to clean and protect your tip while making stained glass soldering easier. Works a treat, quick to come up to heat, solid construction, ideal for stained glass work, love it. Perfect. I use it for copper foiling and lead work and it's great for both. 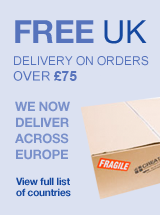 An excellent product at a competitive price. Best to buy the stand too for ease of use and safety.